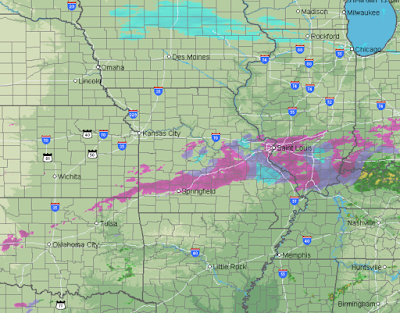 Here is the AccuWeather Regional Radar from 10:45am. 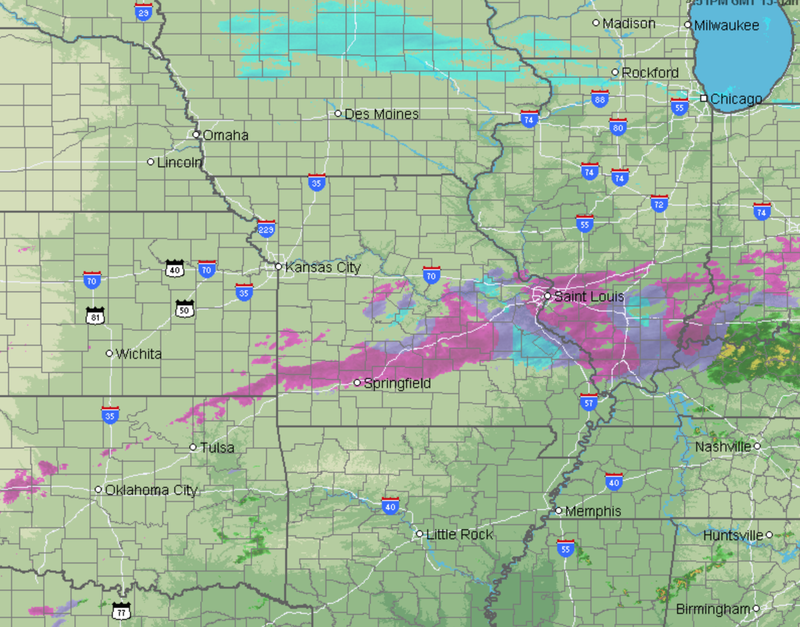 The purple is freezing rain or mixed precipitation. 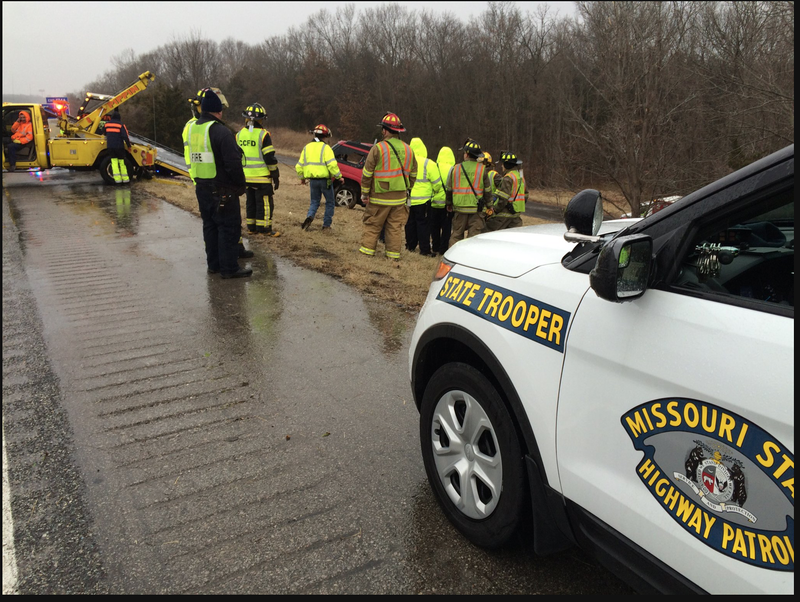 There has already been a fatal auto accident in Missouri involving a vehicle skidding on the ice. The accident occurred south of St. Louis on I-55. Here is the latest freezing rain amount forecast from the US Global Forecast System model. Based on it, I see no reason to change the forecasts that are displayed below. The timing (see below) looks good, also. 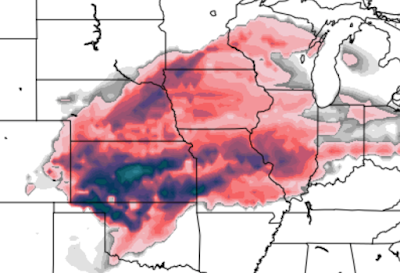 Remember, when I display these model forecasts, do not focus on an exact location. I'll update again this afternoon.